Tonight I really couldn't be bothered having a beer that I had to think too much about. All I wanted was something simple that I could drink quickly and easily. 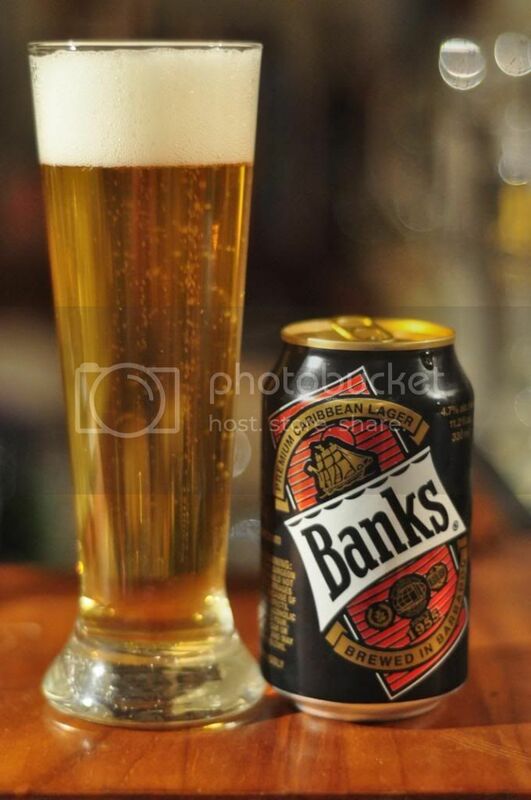 I settled on Banks, a Caribbean lager from Barbados. Barbados is one of the most developed nations in the Caribbean and is also one of the most visited islands by tourists. Thus I would assume that on top of the 284,000 locals a large number of others would also get to experience the taste of Banks. One of my favourite facts about Barbados is that is ranked 2nd in all of the America's the Corruption Perception Index, only behind Canada! When I poured Banks I was instantly impressed with the head generated by a relatively tentative pour. The beer itself is a pale straw colour with plenty of carbonation rising to a lovely thick white head. The head size was incredibly impressive, maybe 4-5 fingers high! The retention was also surprisingly impressive for the style, let alone the region although there was very little lacing. The nose was much more typical of a tropical lager than the appearance had led me to believe it would be. It had little to no aroma what-so-ever! If you were to strain to find something as the beer warmed there were hints of sour malts and the tiniest hop note. Really it was nothing to write home about but as I always say with tropical lagers, as long as it doesn't smell bad that's a win. Banks is surprisingly flavoursome for a tropical lager. There is some light bready malts up front accompanied by a touch of acidity that some may find a little too high. What sets Banks apart from other tropical lagers is the strong presence of some grassy hops. They provide excellent bitterness, which helps make the beer very refreshing. Personally I thought Banks was an above average lager. Flavourwise it was excellent, with plenty of hop bitterness. The carbonation was quite light and the mouthfeel was excellent. 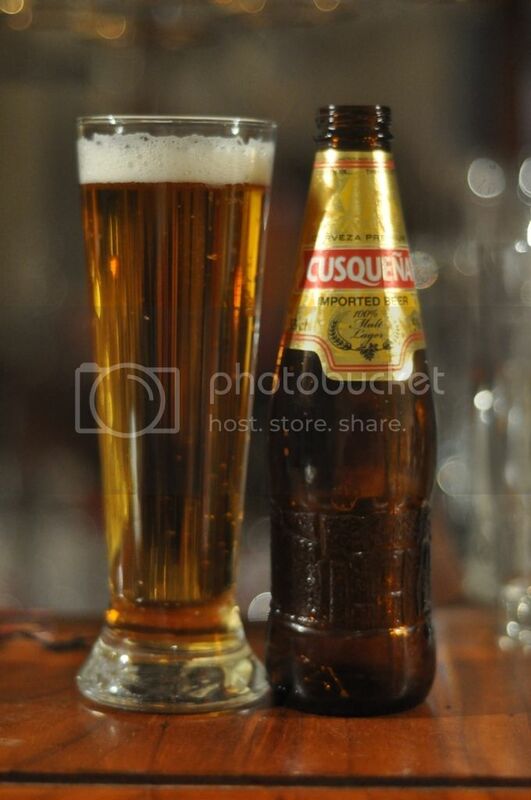 I think it's the best Caribbean lager that I've ever sampled. If you are in Barbados this is definitely a good option if you are looking for a beer to drink.